CCL Championship Expands To West Divison! 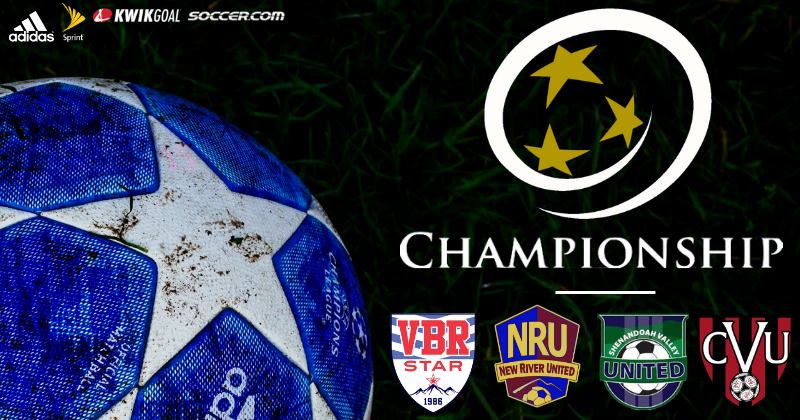 Roanoke, VA (April 16th, 2019) – VBR Star Soccer Club is excited to announce our participation in the CCL Championship West Division beginning in the Fall of 2019. Clubs participating in this new division will include: Central Virginia United (CVU; Lynchburg, VA), New River United (NRU; Blacksburg, VA), Shenandoah Valley United (SVU; Harrisonburg, VA), and VBR Star (VBR; Roanoke, VA). The West Divison will be regionally based, also including games against teams currently playing in the CCL Championship North Divison. The league schedule will be all inclusive, from home games to festivals, along with neutral site games. Being that all VBR Star teams will be under one league, this will allow our players to be club pass, which will allow players the opportunity to easily move up and down within teams to provide a complete approach to player development. We are excited to announce the hiring of Alan Crowder as the Director of Championship effective immediately. "I'm excited to be back at VBR Star! The focus on player development within the CCL is what is best for players in our area. The club pass system within the CCL is an added benefit in the Star development process, as it allows players to move freely between Elite and Championship level teams based on a players needs," stated Alan Crowder, Director Of Championship. "This is a big day for our club as we improve on our development process and system as we are able to hire someone who will focus directly on the Championship level that is vital to player development," said Chris McClellan, Director Of Coaching & Player Development. To learn more about the other clubs perspectives in the CCL Championship West Division, click here. VBR Star Soccer Club, formerly Roanoke Star Soccer Club, began in 1986 with the aim to become the premier youth soccer club in the Roanoke Valley. Over the course of 29 years, it has grown to over 800 kids and 52 travel teams, competing in one of the top youth soccer leagues on the east coast, the Club Champions League (CCL), and in western Virginia, the CCL Championship the Blue Ridge Soccer League (BRSL).